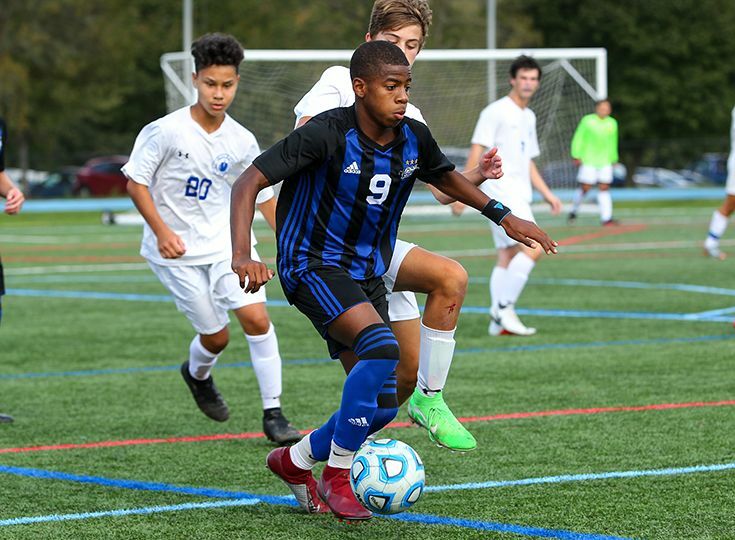 The boys' soccer team had a great week on the pitch as the Knights won all three of their games against top competition. The first win of the week came on October 3 when Gill defeated Bridgewater-Raritan 4-1. Jordan Canica ’21 led the way with a goal and an assist. Also scoring were David Frankel ’22, Tyler Merna ’19 and Andrew Moglianesi ‘19. Goalie Alex Borto ‘22 recorded five saves. Gill next took the field against Morris Catholic, the defending Non-Public B champs. In one of their best showings of the season, the Knights beat the crusaders 2-1. Canica and Merna each scored for Gill and Borto added seven saves to secure the win. The Knights closed out the week by competing against Immaculata in the first round of the Somerset County tournament on October 6. Gill came out on top by a score of 4-2 with Merna and Moglianesi continuing to score for Gill, and Micaah Garnette ‘21 and Frankel contributing goals as well. The Knights will take on Hillsborough in the quarterfinals of the county tournament on October 13. 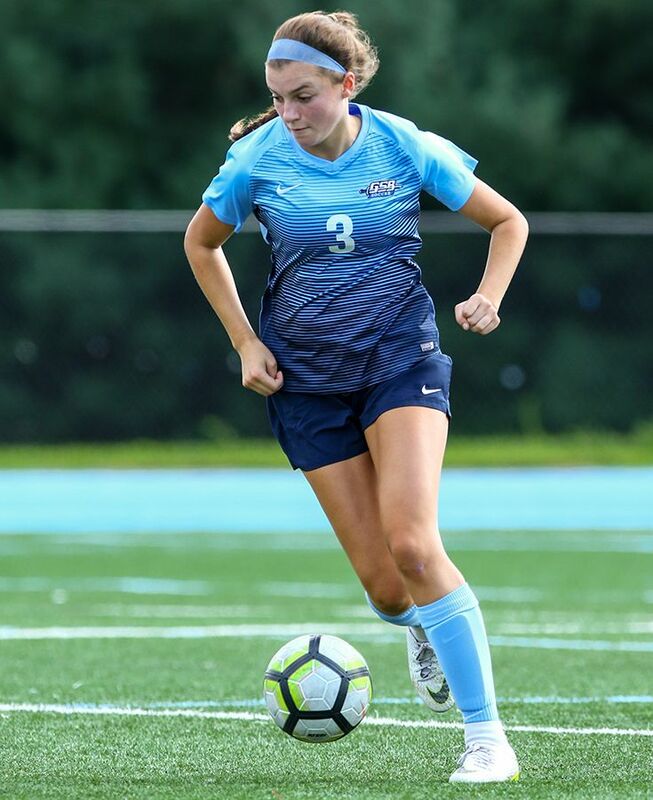 The girls' soccer team had another strong showing on the soccer field this past week as the Knights won all three of their matchups to improve their record to 11-1 on the season and 9-1 within the Skyland Conference Mountain Division. One of the biggest wins of the week came on October 2 as Gill handed Rutgers Prep its first loss of the season by a score of 2-0. Scoring goals for Gill was the dynamic freshmen duo of Mia Kolb and Tess Kelly. Securing the shutout between the posts was Teresa Zimmer ‘20. The win moved Gill past Rutgers Prep to sit in first place in the divisional standings. The Knights kept the momentum going as they defeated Bound Brook 6-0 on October 4. Zimmer moved out from goalie to play the field in this competition, and it certainly paid off as she scored an incredible five goals. Also having a big day for Gill was Emily Raia ‘20 as she recorded three assists. Gill closed out the week in impressive fashion as the team posted another shutout by defeating Franklin 2-0 in the second round of the Somerset County Tournament. Hayley Goldin ‘19 led the way with one goal and one assist; also contributing a goal was ’20 Samantha Lowe. Zimmer was once again incredible in goal as she recorded 12 saves for the shutout. The Knights will take on top-seeded Bridgewater-Raritan on October 13 in the quarterfinals. The girls’ tennis team remains a top squad in New Jersey as the Knights are now ranked 16th in the new state rankings. 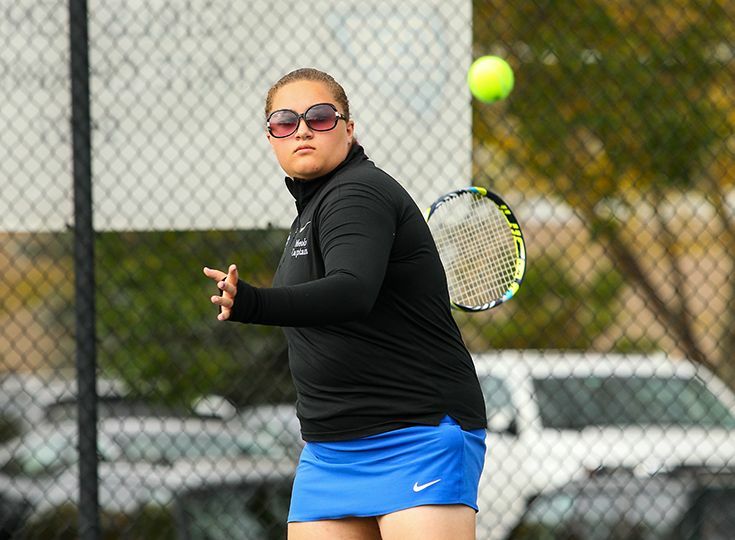 Gill had a strong week on the tennis court as the girls defeated Sparta on September 29, 5-0 in straight sets, and also took down North Hunterdon 5-0 in straight sets on October 2. Posting wins in singles for the Knights were Mayjah Jean-Pierre ’21, Ella Baker ‘21 and Michaela Kroon ‘22. The doubles teams of Andree Aloise ‘19 and Tori Goldin ‘20 and Hannah Cohen ‘19 and Alexis Meola ‘19 were also victorious in both matchups. The Knights ended the week with a tough 4-1 loss to 2nd-ranked Montgomery on October 3.Montgomery is currently 10-0 on the year.